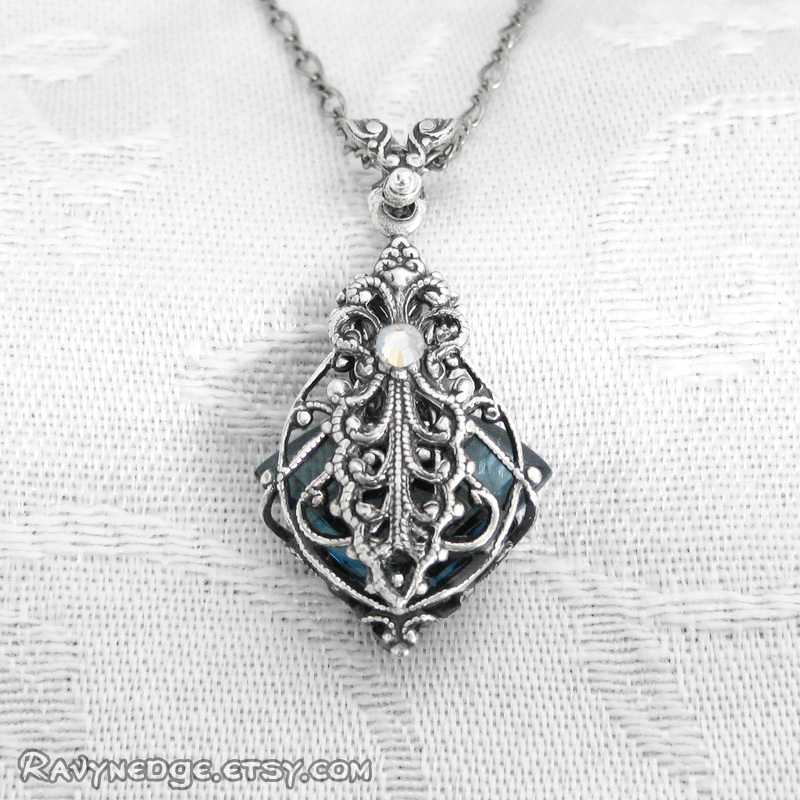 Love Potion No 9 Necklace - Silver Filigree Pendant by RavynEdge. 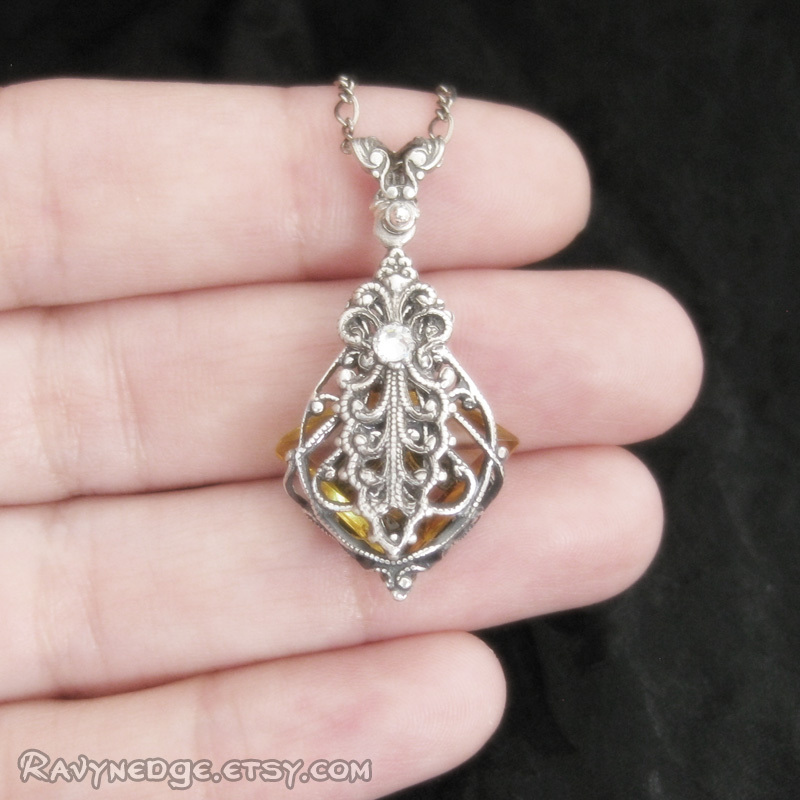 When I look at this pendant, I see a beautiful filigree potion bottle filled with colored liquid. 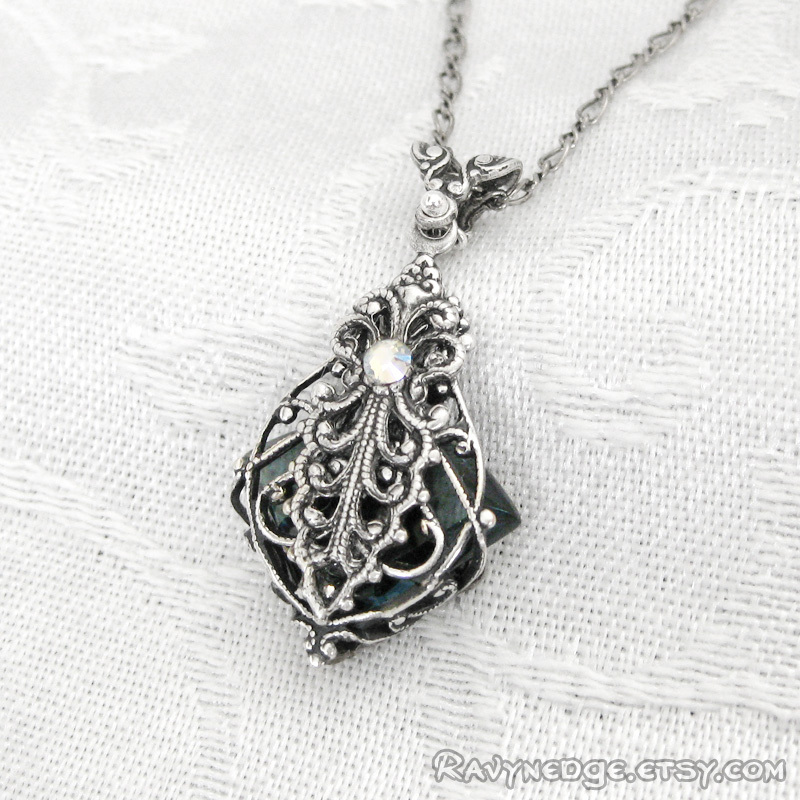 Love Potion No 9 is a petite pendant yet it is sweetly striking enough to add a bit of sparkle and color to any outfit. 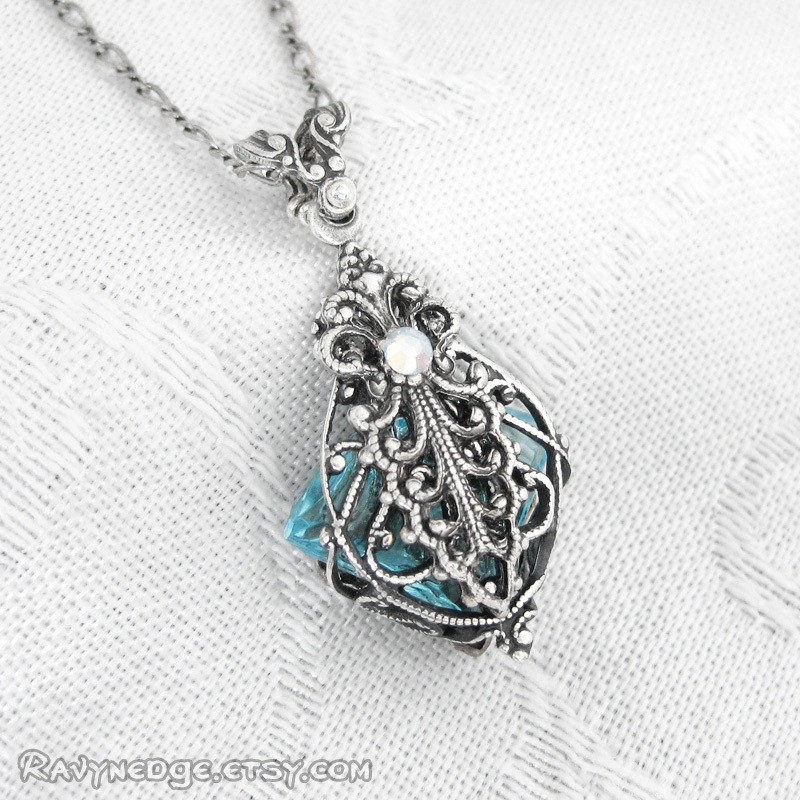 I made this pendant from a fan shaped glass aquamarine jewel, encased it in sterling silver plated brass filigree, and adorned it with a tiny Swarovski crystal to add an extra touch of brilliance. It measures a dainty 1.3in (33mm) from the top of the bail and 0.7in (18mm) at its widest point. 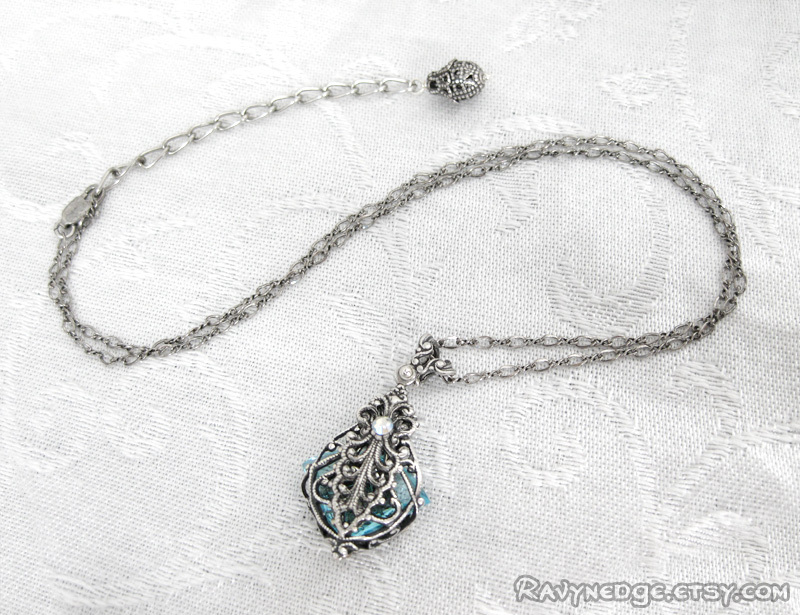 The chain is sterling silver plated brass and the length is adjustable from 16 to 18 inches (40.6 to 45.7cm). Closes with a lobster clasp.